Hello, hello!! Today I have something I haven’t tried yet. 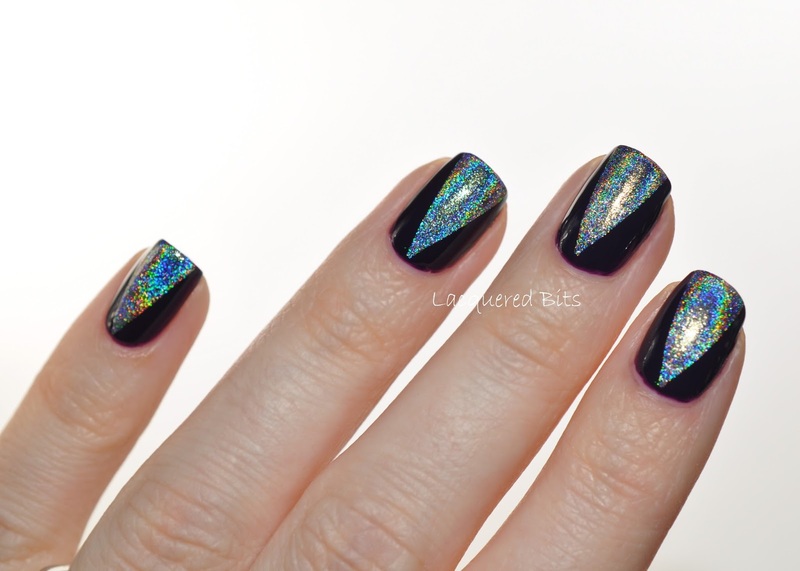 Ultra holo polish. And I am impressed! 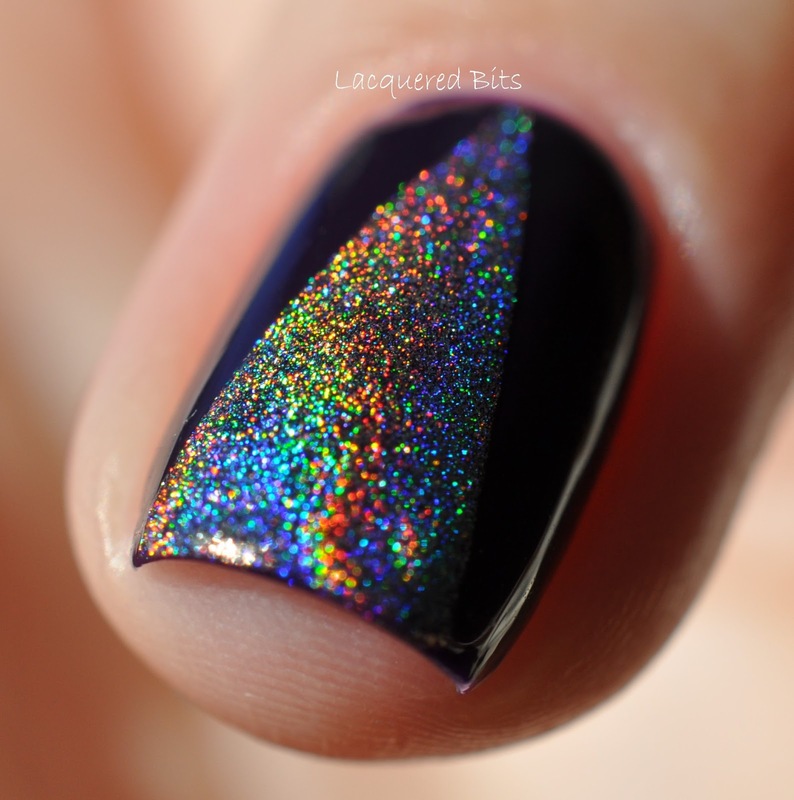 This is ILNP (I Love Nail Polish) – Mega (S). I think this is the version of Mega with the most holo (the letter S). It is stunning! There are all the colours of the rainbow present in there. And not to forget the base polish. It is O.P.I – Viking In A Vinter Vonderland. This one is from their last fall collection Nordic. It went on smoothly. I applied two coats. It is a deep purple with a creme finish and it is very dark, but you can still see that it is purple and not black. I like it that way, because I don’t have anything like it. 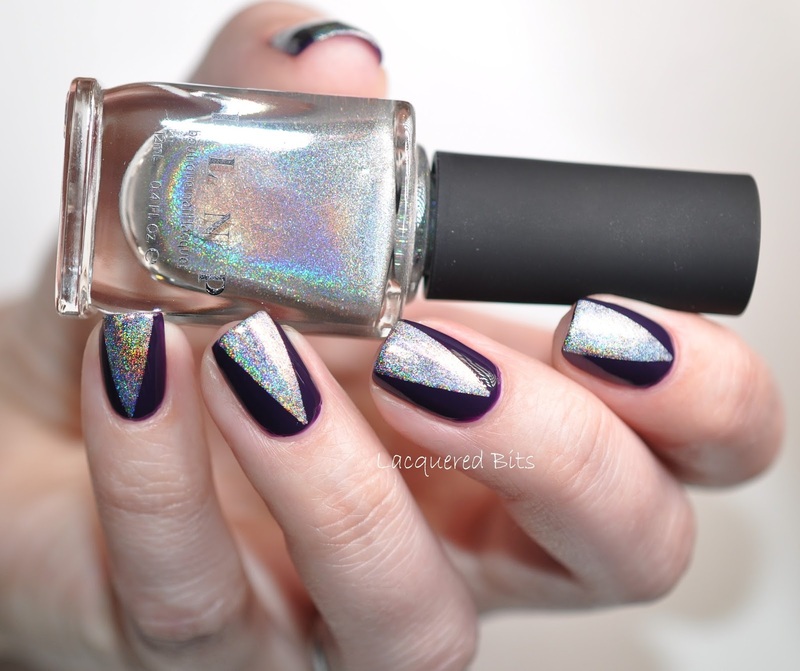 And now back to the holo. I also don’t have anything like this one either. And you should see it out in the sun :O! I decided to take the macro shot outside. Feast your eyes on it. It really reflects all the colours of the rainbow, just amazing. And one last photo. I hope you are not disappointed because I don’t have anymore photos for you to watch this beauty. What about you? 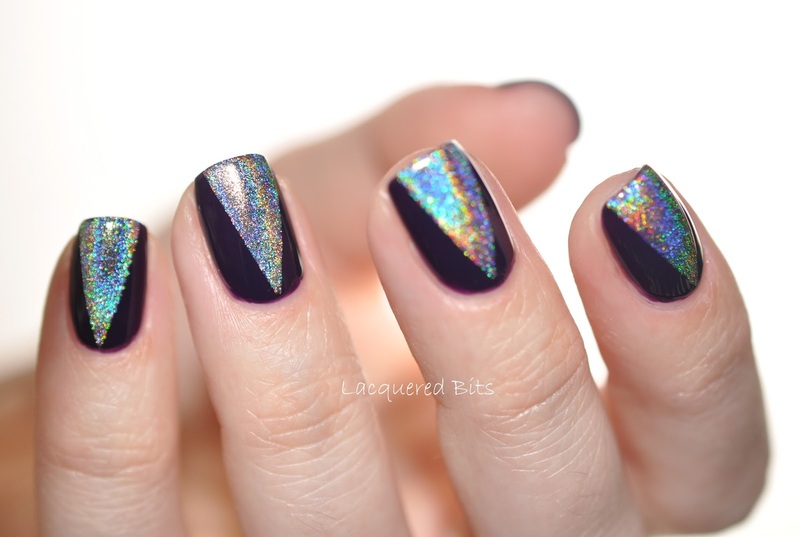 Do you like extreme holo polish and I mean extreme holo like this one? Do you own any? This is just stunning! Excuse me while I clean up the drool from off the floor.